At Hohmann Sheet Metal & Seamless Gutters, we're proud to be your source for top-quality seamless gutters in Marietta and surrounding areas. As a family-owned gutter company, we make friendly customer service and honest work our top priorities. 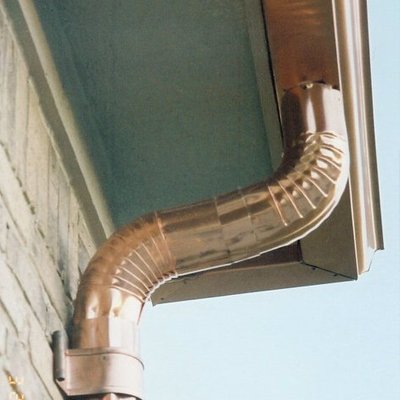 Moreover, we have 35+ years of experience in sheet metal fabrication, so you can rest assured we'll outfit your home with flawless, custom-fit gutters that last. When you need any kind of gutter installation, repair, or replacement, trust our expert handiwork! Contact us today to get a free estimate or to schedule an appointment. At Hohmann Sheet Metal & Seamless Gutters, we go the extra mile for each and every customer. When you have us working on your new gutter installation, replacement, or repair, you can expect nothing short of friendly attention and genuine professionalism. No matter what you need, our gutter contractor team will impress you with our integrity, efficiency, and quality. We do whatever it takes to ensure your all-around satisfaction with our gutter service. At the end of the day, we want you to be 100% happy with the gutters and downspouts and covers we install. 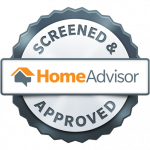 You can see how we're a top-rated business on HomeAdvisor! Based out of Ball Ground, Hohmann Sheet Metal & Seamless Gutters is proud to serve all areas north and northwest of Atlanta, stretching into the mountains. Our service area includes Ball Ground, Marietta, Holly Springs, Ellijay, Blue Ridge, Cherry Log, and surrounding communities. A fully licensed and insured gutter contractor, we're proud to outfit local homes with superior gutter systems and gutter services. On time and great price all with professional service. Worked with me to install the gutters on my metal building. Prompt. Did everything fast and a good job. I was very pleased with the service. They came when promised and did exactly what I asked them to do for a fair price. I have recommended them to a friend. Very Friendly, Excellent work. On time. I would highly recommend them. I am very pleased with the job Hohmann Sheet Metal did installing new gutters on my home. They were very professional and were able to do the work quickly. They did an excellent job at a good price. I contacted Mike through Home Advisor and he returned my call promptly. He met me at my house the following day to go over my project and provided me with a written estimate. Two days later Mike and Joey arrived at my house to do the installation of gutters, downspouts and gutter guard in some pretty nasty weather conditions. They did an excellent job and we couldn't be happier. 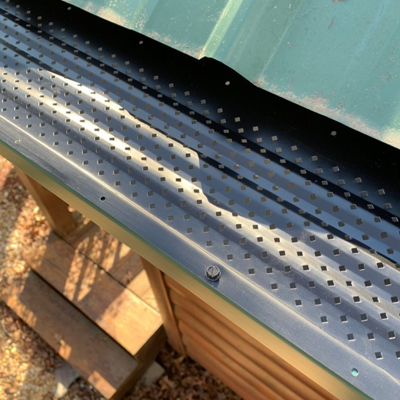 I highly recommend Hohmann Sheet Metal for your seamless gutter needs. Hohmann Sheet Metal was a pleasure to work with. They did an outstanding job and did exactly as they promised on the timing of the work and the quoted price. Very professional and I highly recommend Hohmann for your seamless gutter needs! He did a gutter cover install. Great work, fair price. Thanks to our long history of working with sheet metal, our technicians are able to cut everything to size right in front of you. Using our state-of-the-art gutter machine, we'll precisely and effortlessly cut and roll out your gutter on site. This way, we don't waste any time or materials, which ultimately saves you money and gives you the quickest turnaround possible. So, turn to Hohmann Sheet Metal & Seamless Gutters for all your gutter-related needs in the Marietta area. From gutter guards to gutter replacements to gutter repairs, we do it all. We even provide thorough roof cleaning services that will remove built-up dirt and moss on the roof to give you a complete, polished look. 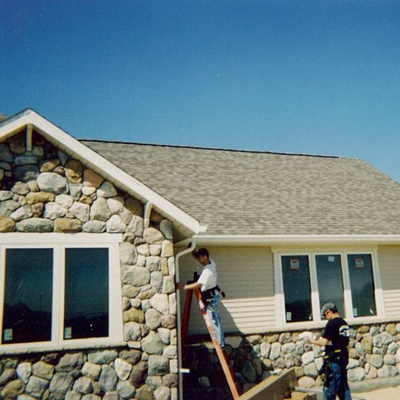 In short, the flawless workmanship of our gutter contractors is second to none.